Recently a friend of mine wanted to buy pure ororiginal honey and I told him where to go to get one and he replied, “pure honey is not found anywhere in Nigeria.” I was not only shocked to hear that, but I was also worried because so many have not known that pure and original honey can easily be gotten around them. 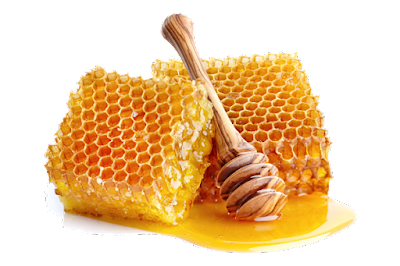 Not many people know that real honey for that matter can be detected and differentiated from the fakes out there through a number of proven methods without much difficulty. It has been erroneously thought that pure and original honey is hardly available anywhere in the country because for a fact, fake honey abounds all over the place. And so before you are able to enjoy this liquid gold as it has sometimes been referred to, there are basic understandings you need to possess of honey so you can benefit fully from the numerous health advantages from this natural food. But you should therefore also know that there are ways not to test or identify pure honey. Some say flies and ants are not attracted to honey; this is completely false! Anything sweet will attract flies and insects, so rule that out. Others will say that, you must look out for particles of honey comb in the honey. No! Anybody can easily fake that too. The following three (3) tests are the best known methods so far of testing for real honey at home. 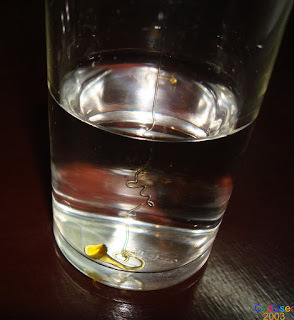 Take a teaspoonful of the honey and pour into a glass of ordinary clean water. If it is original (pure) honey, it will normally settle down at the bottom of the glass. But on the other hand, if it is fake or adulterated honey, it will begin to dissolve as soon as it touches the water. Stick a matchstick with its head in the honey and remove, and keep for a few minutes. Then strike the matchstick; if it still lights, then it is original honey. 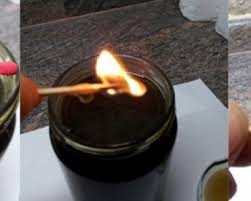 But if it’s soaked and won’t light then its fake or adulterated, hence honey (whether pure or refined) has no moisture and so will not soak and dampen the matchstick. The soak test for original honey shows that, if you drop a little honey on your finger or on a piece of paper, it will not soak and leave a wet area, or spread around if it’s real honey. But otherwise, the honey is fake or adulterated, i.e. it will run around or spread. Now that you know how to identify real honey from the fake ones, you can now begin to enjoy the numerous nutritional benefits inherent in this natural antibiotic.